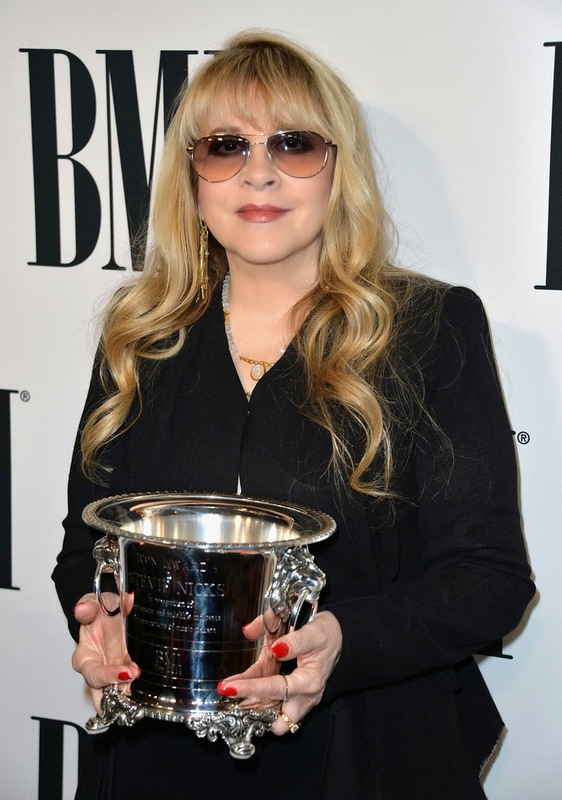 Broadcast Music, Inc.® (BMI®), the leading global music rights organization, to honor GRAMMY Award-winning artist Stevie Nicks. Additional invited guests include: Adam Levine, Macklemore & Ryan Lewis, The Lumineers, Fall Out Boy, Florida Georgia Line, Sheryl Crow, Shakira, Mac Miller, Skylar Grey, Vanessa Carlton, Andy Grammer, Paul Doucette, Lady Antebellum, Jeff Bahsker, Alex Da Kid, Rodney Jerkins, Bonnie McKee, Busbee, Claude Kelley, Brenda Russell, Noel Zancanella, Nathaniel Motte and more hit-making scribes. Beverly Wilshire Hotel: Arrivals begin at 6:30 p.m.; awards begin at approximately 9 p.m. 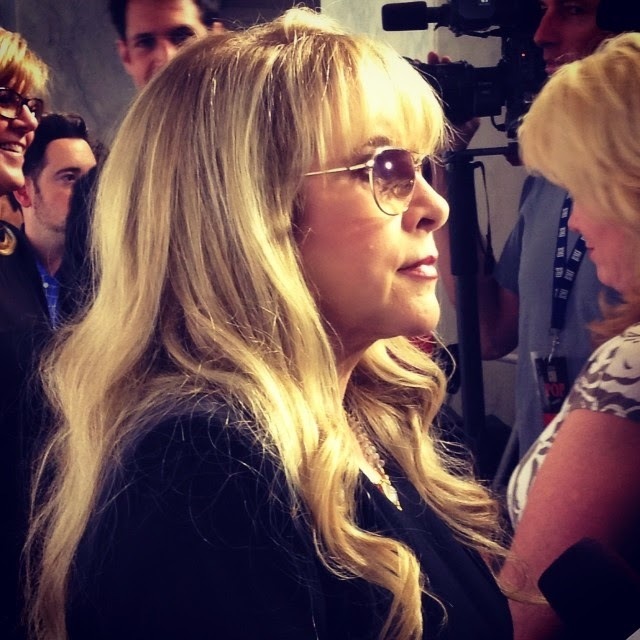 Above: the musical tribute to Stevie included Sheryl Crow and Adam Levine singing Leather and Lace, Vanessa Carlton singing Dreams and Shakira singing Leather and Lace. 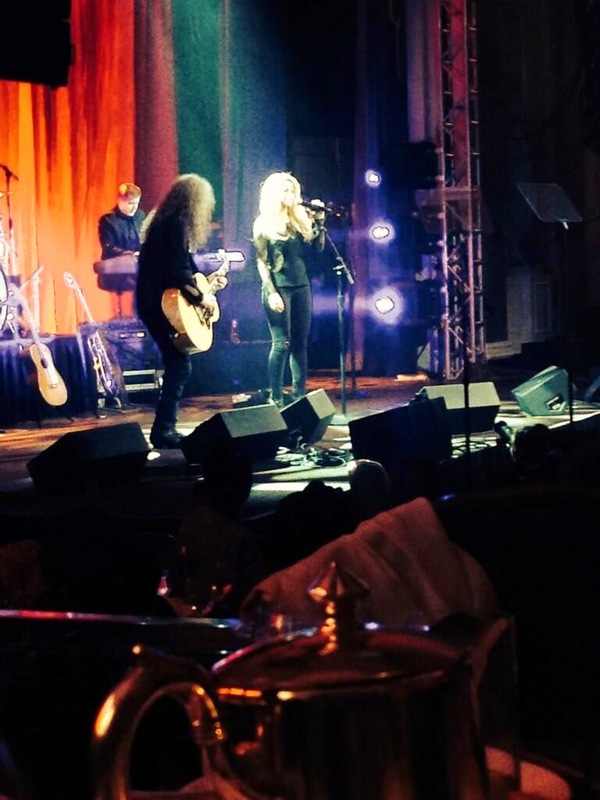 The Band featured: Waddy Wachtel, Jimmy Paxson on drums, Brett Tuggle on keyboards, Sharon Celani and Lori Nicks on backup vocals. 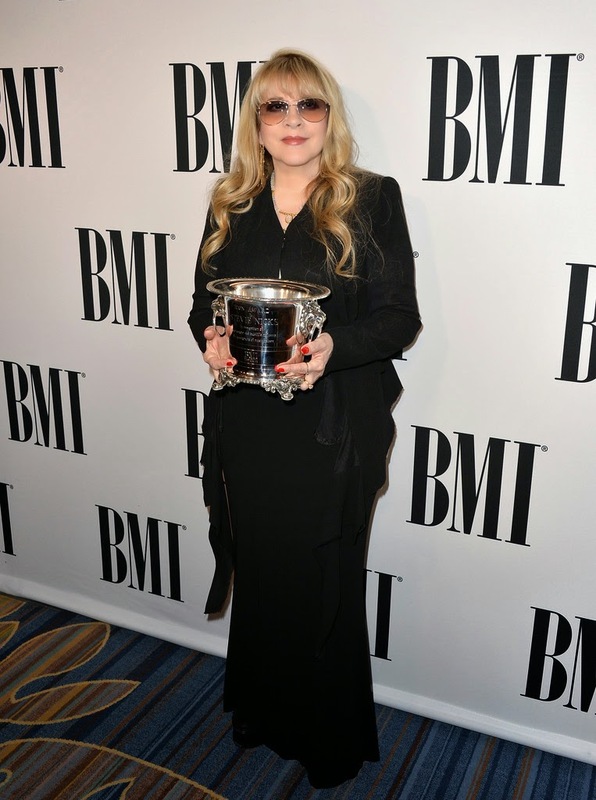 Post by Broadcast Music, Inc. (BMI). 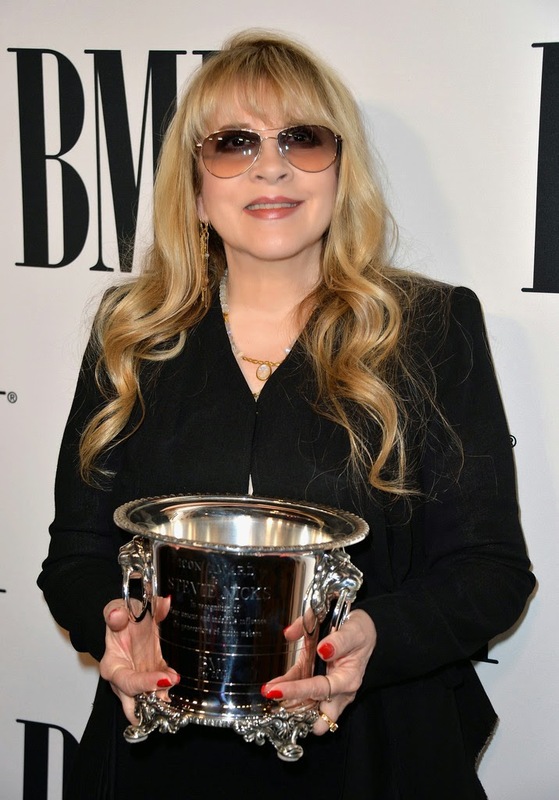 A well-deserved honour for Stevie. Who, might I add, looks fantastic in that long figure-revealing dress. 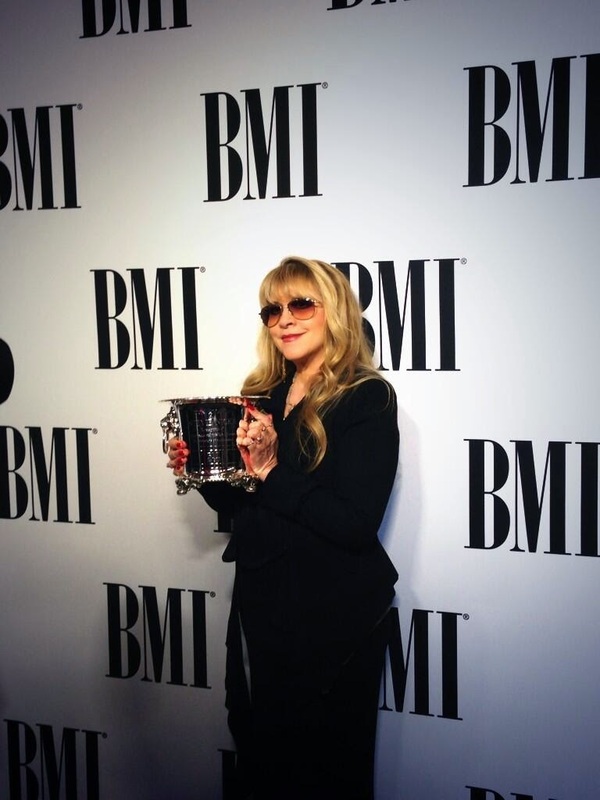 Congratulations Stevie! You really deserve this award!! 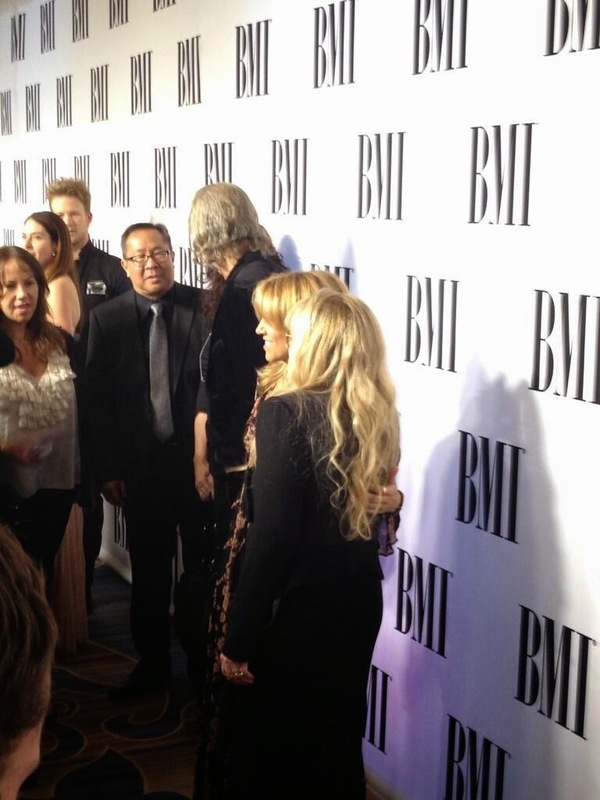 So happy for stevie she has wrote many great songs. Great performer and dedicated! A True Artist and Truly Beautiful ! !